Yes, yes, yes. 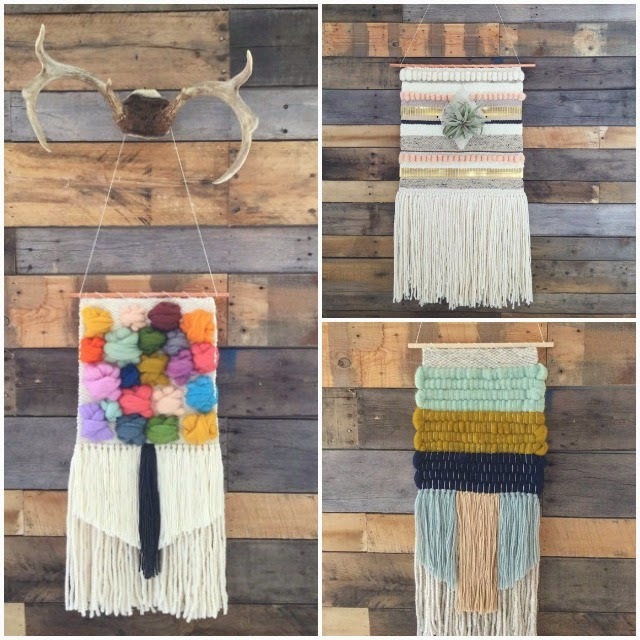 I love woven wall hangings... tapestries... fiber art. Whatever you want to call them, they are beautiful and I am tempted to put one in every room in my house! 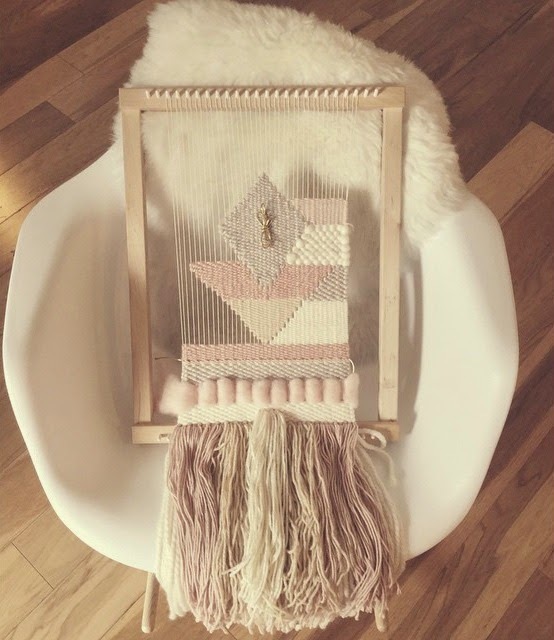 Erin is the owner and artist behind SunWoven, a hand weaving shop that offers premade and custom wall hangings. Erin is a young mama who creates her amazing pieces with a delicious combination of wool yarns and even, sometimes, air plants. She hand weaves each piece on her lap loom so each finished product is carefully made and unique from the others. I was so excited to get a custom wall hanging for our house. We repainted our master bedroom last summer and I have waited for the perfect piece to hang on our fresh walls. 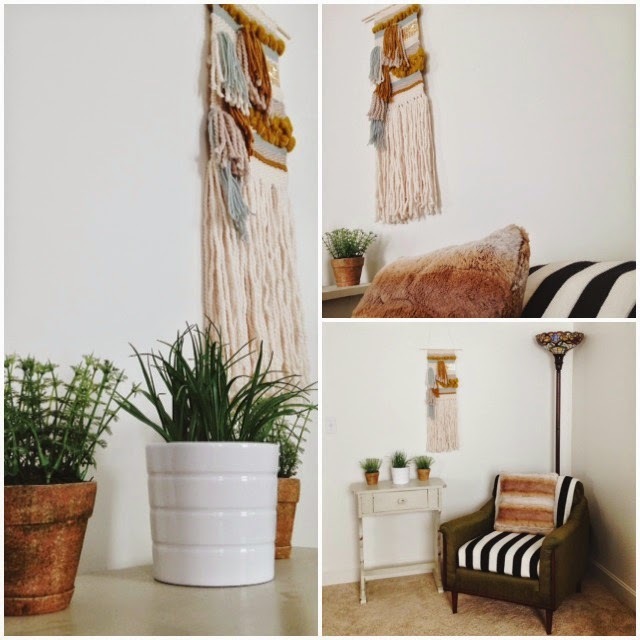 This tapestry from SunWoven was exactly what I was looking for and totally pulls my little reading corner together! I was super excited to get to share this amazing art with all of you! Hurry over to SunWoven and check out all of the beautiful pieces! You can also find Erin here: Etsy :: Instagram.